When Autodesk release the newest and greatest version of your product you may wonder were all the development ideas have come from. I hear a lot of people asking why are Autodesk not updating that all important tool I use everyday?? Autodesk will always have some ideas for major improvements but they also get a lot of ideas from the Ideastation. See my blog on the Ideastation below. But the Ideastation is not the only place Autodesk take direction from. 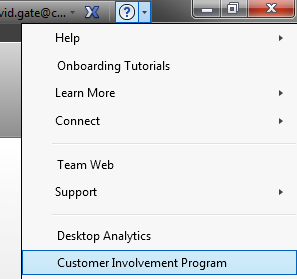 They also use the Customer Involvement Program (CIP). You may wonder what this is and you may already be a part of it without realising. 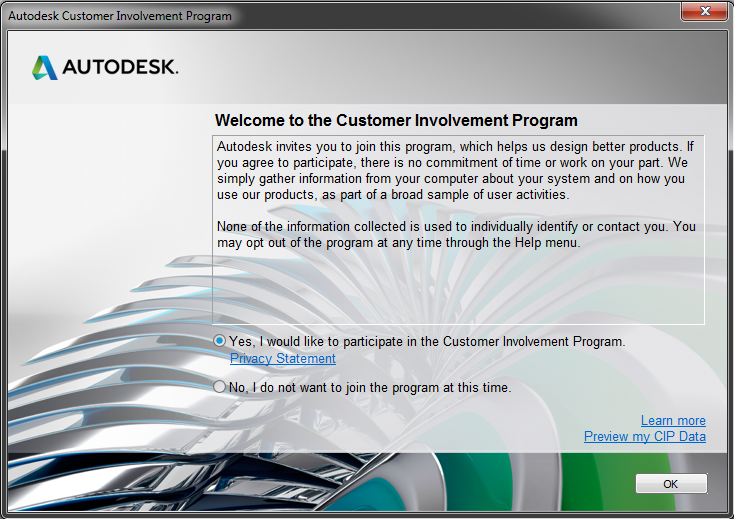 The Autodesk Customer Involvement Program (CIP) gathers product feature usage and system information from participating customers every day. By analyzing trends and patterns, Autodesk is able to optimize features and ensure product decisions best meet customer needs. This becomes very important in giving Autodesk a product development direction but also what features and which software is used. You might remember recently Autodesk removed Showcase from the Product Design Suite, but have now re-instated it due to popular demand. Well that was because according to the CIP data Product Design Suite users didn’t use Showcase! I reckon there are a lot of Showcase users out there, but they clicked No to being part of the CIP. So when you first fire up your newly installed software, you are presented with the option to join to CIP, I would seriously recommend this. If you choose not to be involved Autodesk have no idea how much you use your software, what commands you use and therefore their development paths and product options will be led by others. If you have already installed your software and want to check if you are sending CIP data joining is easy. Simply access the CIP through the Help menu of your Autodesk product. You can also access extra information on privacy and even see some of your CIP data. The below information is taken from the Autodesk site describing CIP. CIP collects product usage data for all installed Autodesk desktop applications and customer system data, and sends that information electronically to Autodesk. We then analyze the data and produce reports on a range of technical and business topics, including ways to improve product performance and customer satisfaction.